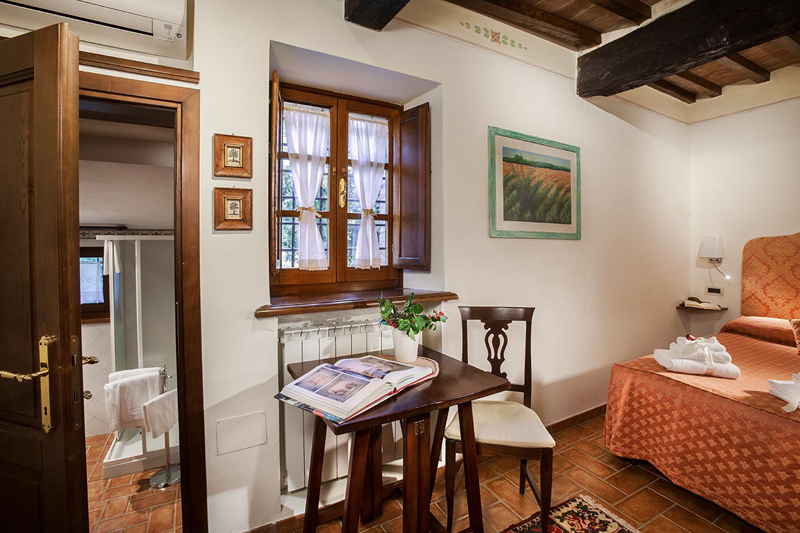 This is a very cozy but tasteful accommodation is the smallest of our apartments and is perfect for two people. This bijoux is ideal for those who are on short visit because given its size it has a small kitchenette that is not practical for those who wish to cook every day. There is a lounge with this mini kitchen, a bedroom with a double bed and a spacious bathroom, facing to the north. The apartment is accessed by an outside staircase with a separate entrance. •Bedroom: There is one bedroom with a double bed 150 x 195 cm (4,92 ft x 6,40 ft). Air conditioning with independent controls. •Kitchenette: This small kitchen includes a gas cooker, microwave oven, teapot, dishes, glasses, utensils, kettles, toaster, juicer, dish soap, cloths for cleaning, scottex, oil, vinegar, pepper coffee, tea, and water. •Daily housekeeping from 9 am to 1 pm from Monday to Saturday, from May to October. During the winter months the cleaning is only a final cleaning or more according the length of your stay.